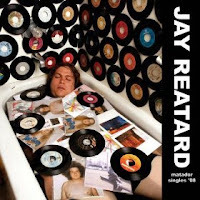 Jay Reatard has a knack for getting to the point. He crafts two to three minute stomps that burn to the core of the rock ethos: loud, fast, and snotty—not to mention his softer side as well; but not so much on this try. Apparently, Jay has a back catalogue that adds up to about 15 albums, and Matador Singles ‘08 is a cherry picking of some of his recent stuff. I’ll start off by saying that I definitely prefer 2006’s Blood Visions, but I digress. “See/Saw” starts the collection off well as a moderate tempo rocker with a Dinosaur Jr. feel to it, but I’d say “Screaming Hand” and “Dead on Arrival” are my favorite tracks on the album. They drive a little more and remind me of his earlier stuff. Another track I like, and always seem to get the chorus stuck in my head, is “Always Wanting More;” mainly because it’s just catchy: “Always wanting more/you’re such a useless bore,” and it seems to sum up Jay’s perspective for me. Overall, this is a decent collection with some good songs and a couple of misses (“Flourescent Grey”). I was really excited about the prospect of this record, and it’s not necessarily a letdown, but I think my sights were aimed just a little high. Check it out if you like his older stuff, or if you’re interested in seeing what the hype is about. 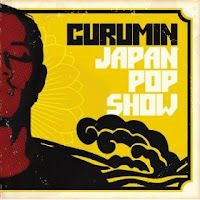 Japanpopshow, the new album from Curumin on Adrenaline Records, could be the best samba-funk album of the century. Hailing from Sao Paulo, Brazil, Curumin embraces the many sounds to which he has been exposed to create an eclectic but consistently funky sound. 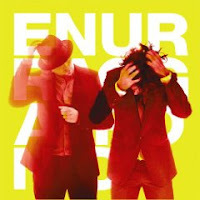 Hip-hop, reggae, bossa nova, funk, and rock are all abundantly prominent throughout the album with certain songs featuring one sound more than another. Curumin has been making music from a young age. He started his first band at 8 and was gigging regularly as a drummer in clubs across Sao Paulo at 14. At 16 he learned to play keyboards. Eventually he enrolled in music school and formed his first band, Zomba, which focused on Brazilian classic funk with DJ accompaniment. Chief Xcel of Blackalicious heard Curumin’s last record, Achados e Perdidos, while touring in Brazil and brought him into Quannum Projects. Japanpopshow is the result. This album has one of most inventive, funky sounds of any I’ve heard this year. Curumin’s playing at BAM December 4th; if you like funky, original music, check it out. 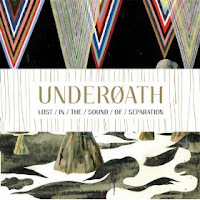 Underoath’s anticipated Lost in the Sound of Separation is a return to the bands blended screamo/metal sound. Similar to Define The Great Line, the bands progress since They’re Only Chasing Safety is clear. The first track, “Breathing in a New Mentality,” is the perfect starting track. It’s a tease–leading you into the album only to knock you down. The track screams about “being in over my head again” and that’s exactly what it does to the listener. The furious and belligerent drumming of Aaron Gillespie is a high point in the album. At no point is it not the driving force on the album. Tracks like “Coming Down Is Calming Down” are driven holistically by the high-caliber drum work he brings to every track. Vocally, the song is also the strongest on the album, easily bringing references to bands like Saosin. “The Created Void” is another high point in the drumming on the album. Overall, the album is another strong show by an already strong band. Fans of Underoath’s prior albums will not be let down by these more progressive hard songs. Those looking to mosh will be pleased. Those looking for melodies-however-should look elsewhere.